Combine all ingredients in a mixing glass and fill with ice. Stir for 20 seconds, strain into a chilled cocktail or rocks glass. Twist grapefruit peel over drink and use as garnish. 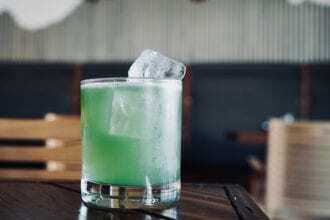 A sustainable riff on the Eastside cocktail.